Not sure if it’s noticeable but with the start of this chapter I’ve started using a different coloring/lineart method. All I can say is I wish I knew about layer masks sooner, they make such a huge difference. I forgot to mention with last week’s update that Terra won an award for Excellence in Science Fiction at the 2016 StArt Faire’s Excellence in Webcomics awards! It was announced over the holiday break, so I nearly forgot to give it a mention here. Big congrats to all the other winners. 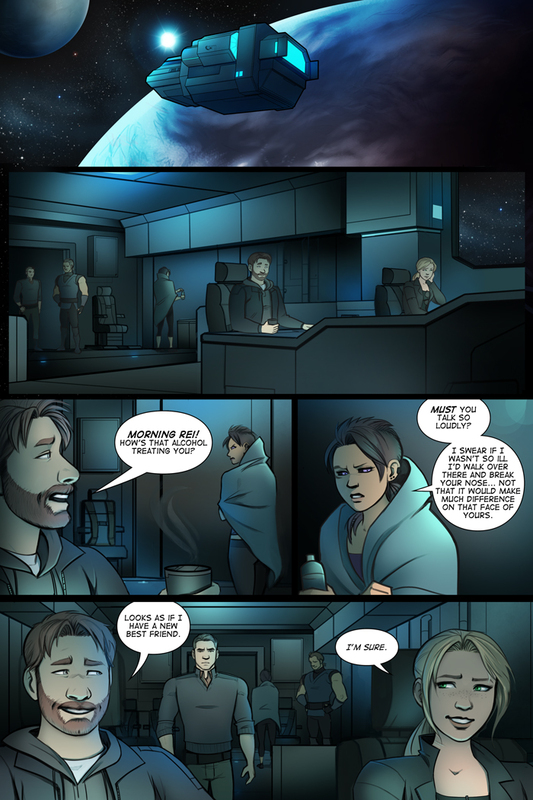 There’s also a new vote incentive, it’s a preview of page 361. Thanks for checking back, see you next week! As to your change in technique, I suspect it’ll be more noticeable when you do ‘close-ups’ of the characters faces. That being said, if it makes producing the strip easier on you, so much the better.